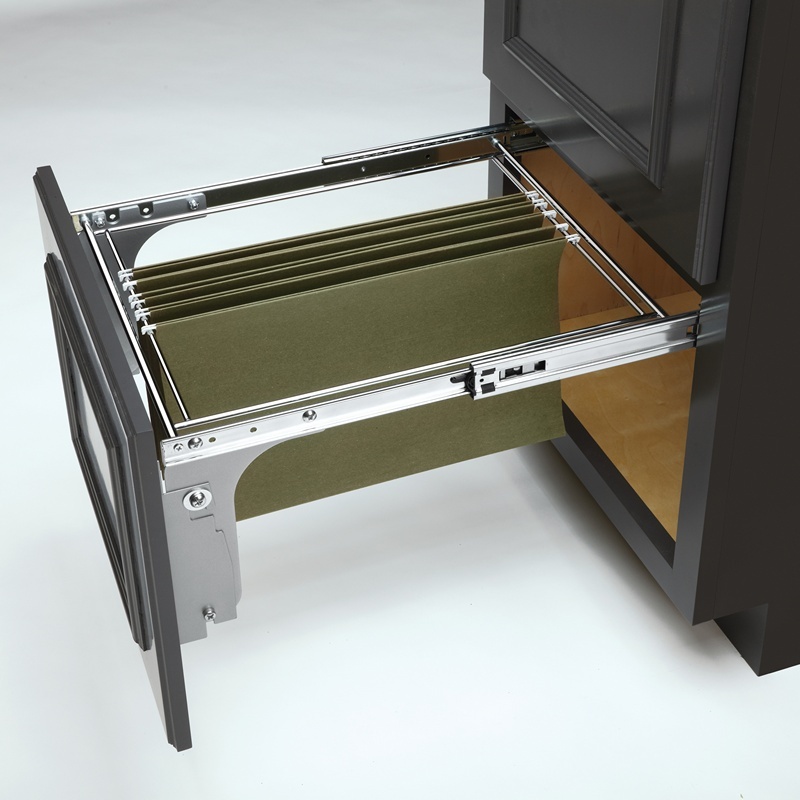 Get organized with this pullout file drawer. 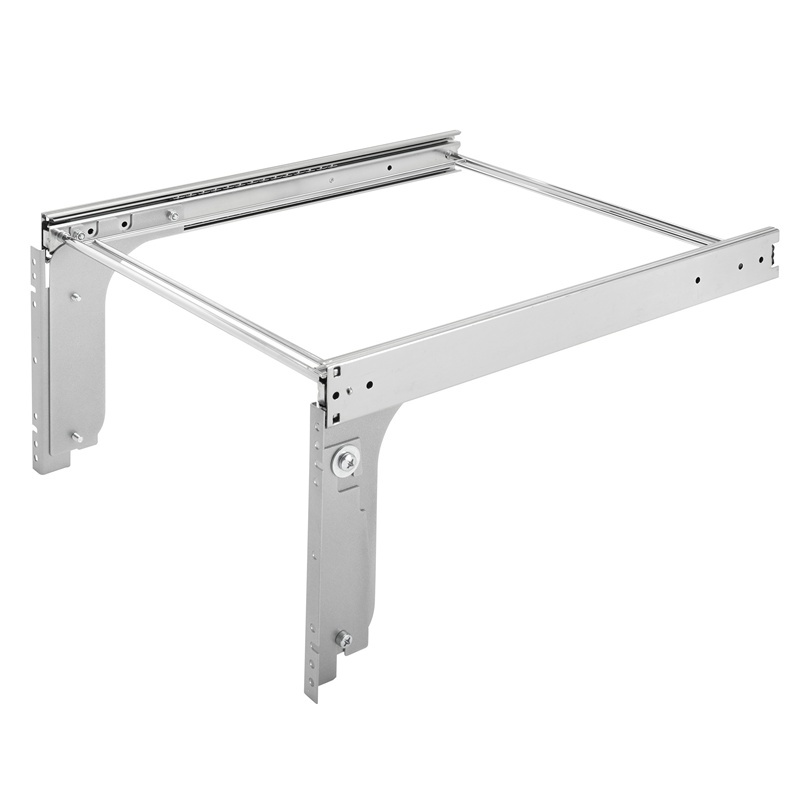 Designed for 18" base cabinets with a 1-1/2" face frame, it side mounts and features a chrome finish, door mounting brackets, full-extension ball bearing slides, and holds either letter or legal folders. Need to store both formats then stack them for a complete filing system.